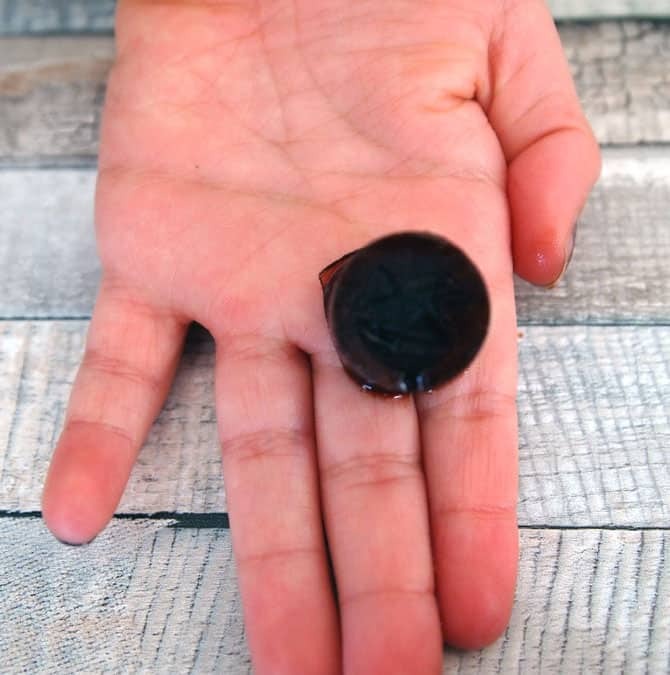 Frozen elderberry drops are a powerful immune boosting remedy and your kids will think they are a tasty treat! Made with homemade elderberry syrup, frozen elderberry drops are bite sized and so easy to make. Forget elderberry gummies, frozen elderberry drops are ready in a flash and keep for longer than their chewy counterpart. My kids BEG me for a frozen elderberry drop, and I happily oblige since it’s packed with immune boosting herbs. 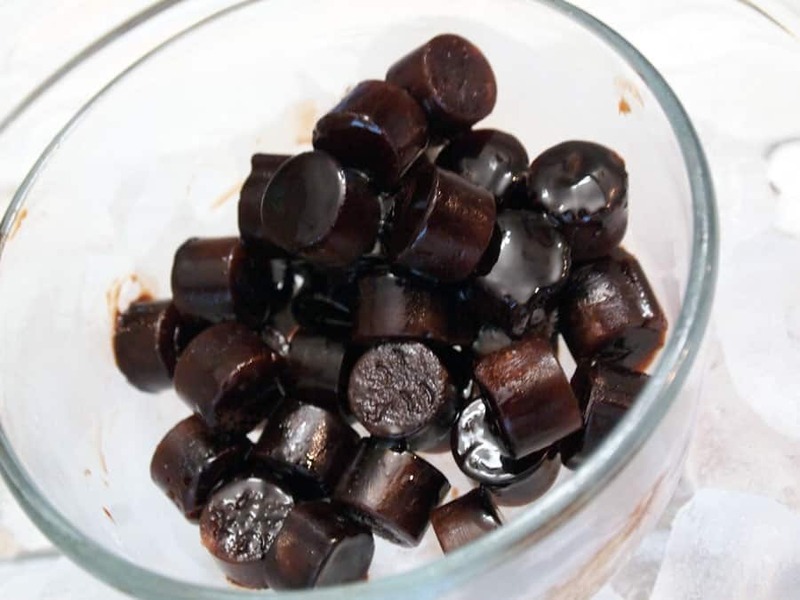 I call these my ‘better than elderberry gummies’ frozen elderberry drops because they are just as delicious as a gummy, but they are easier to make and will keep for longer. YESSSSSS. Anything that saves me time and still gets the job done well is a major win in my book! 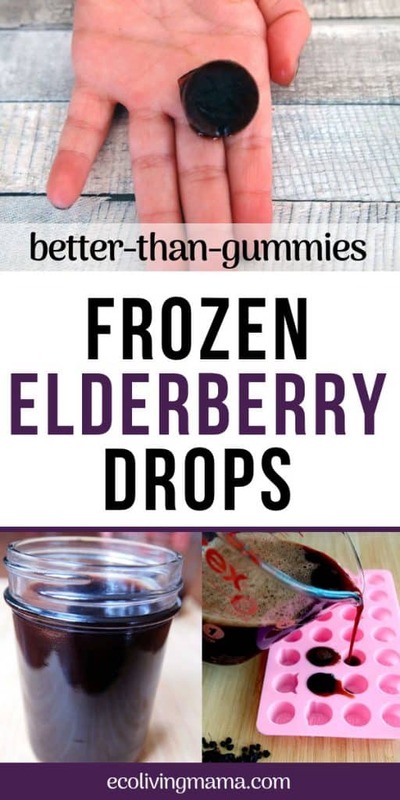 You could also call them elderberry ice cubes, elderberry Popsicle bites, or elderberry ‘get in my mouth because you are delicious’ drops. Whatever floats your boat. CAN I FREEZE ELDERBERRY SYRUP? 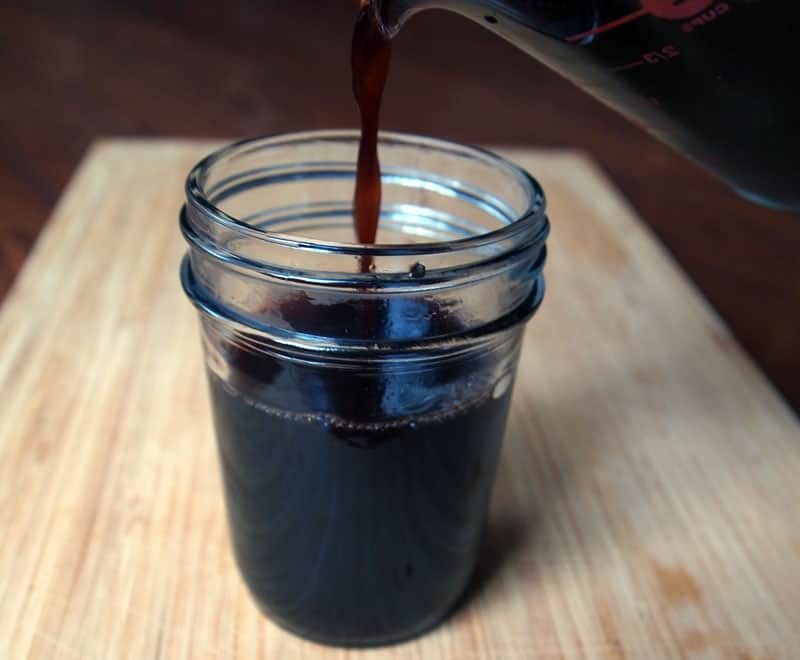 Homemade elderberry syrup has a shelf life of 2-3 months if kept in the refrigerator, and I know lots of people wonder if you can freeze elderberry syrup. The answer is absolutely, YES! Elderberry syrup can be frozen for up to 6 months, doubling the life of your delicious, homemade, immune boosting tonic. 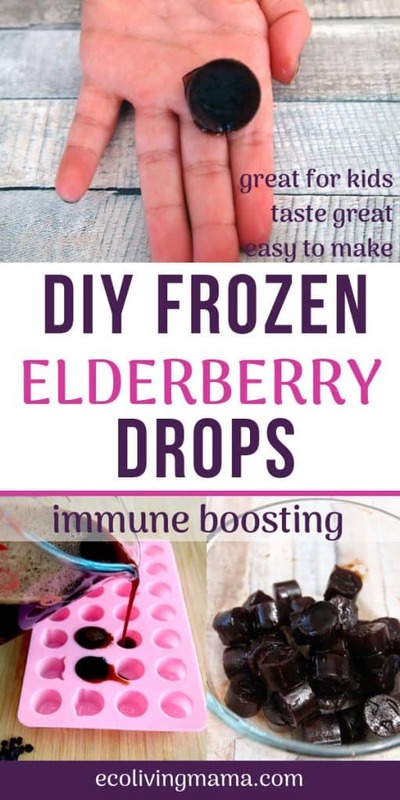 I have noticed no ill effects to freezing my elderberry syrup, and my kids prefer it frozen in these small bite sized drops. HOW DO YOU FREEZE ELDERBERRY SYRUP? I have frozen elderberry syrup in mason jars to be thawed all at once before. I didn’t love this method because I still had a large amount to use in a relatively short amount of time once it was thawed. 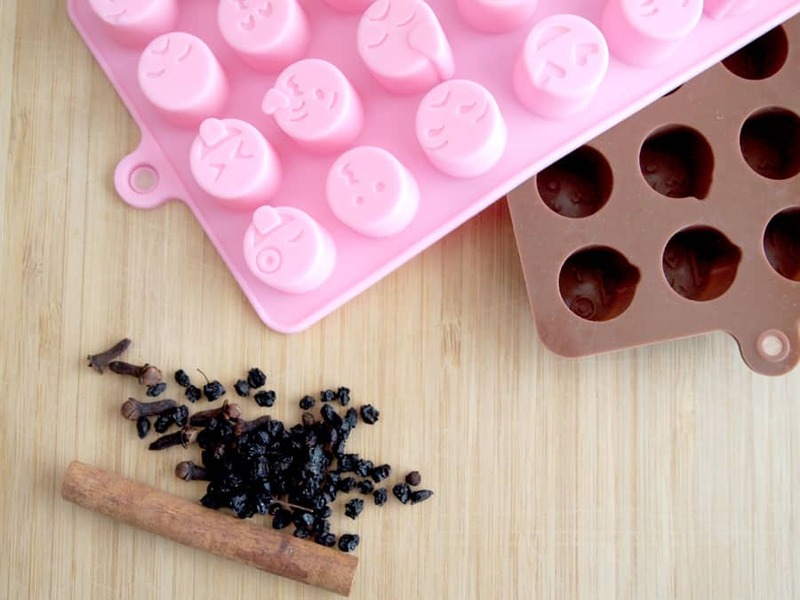 My friends, the BEST way to freeze your homemade elderberry syrup is using this silicone candy mold. Once I found this silicone mold that makes perfect bite sized portions (1 teaspoon exactly per drop – how perfect is that?! ), I never looked back. 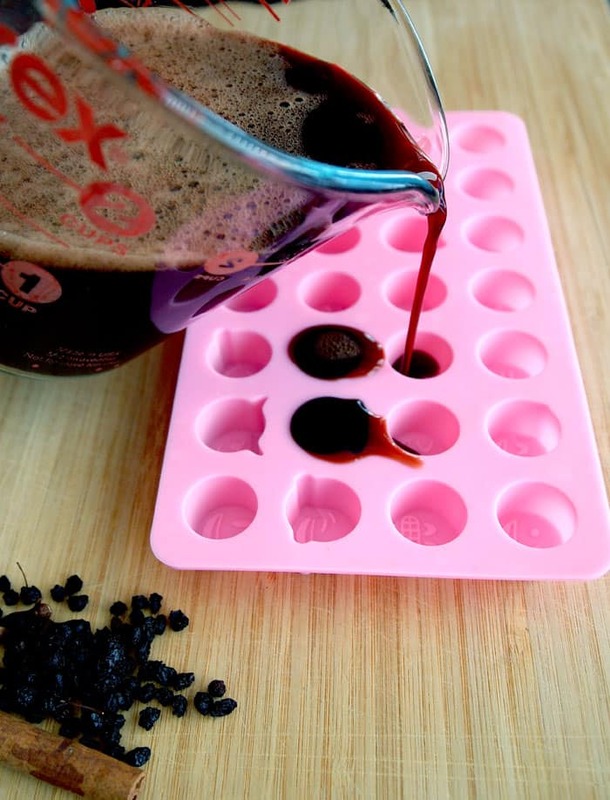 Of course you could use any old ice cube tray to freeze your elderberry syrup. But these miniature drops are the perfect size for kids and I LOVE that each frozen cube measure out to a teaspoon. So there is no guessing on how much you are giving to your children (or yourself). PLUS, can I just say how easy it is to hand out elderberry to my kids these days? No need to worry about dirtying spoons, spilling your precious homemade elderberry syrup, or cleaning the jar after each dose (ya’ll, mine would get SO messy!). They just pop a drop in their cute little mouths and done. Have I convinced you yet that these elderberry drops are perfect? Well they are. Elderberries grow wild in some parts of the country and would make a wonderful addition to a backyard garden if you are in the right climate for elderberries! Find more info about foraging for elderberries here. If you can find fresh elderberries where you live, use them! Elderberries don’t grow well where I live, so I use dried elderberries for my DIY elderberry syrup. I buy elderberries online since I’ve not found them in a local store. They do seem to sell out in the winter months since elderberry syrup is so popular, so if possible I suggest stocking up in the summer or early fall! I typically order a pound of dried elderberries and it is more than enough to last for the year (and make quite a few batches of homemade syrup!). Frozen elderberry drops are simple and straightforward to make. You’ll need all of the ingredients to make a batch of homemade elderberry syrup as well as a silicone mold to freeze them in. You can learn more about the ingredients in the syrup and find out why I’ve chosen them in my detailed elderberry syrup recipe. First prepare a batch of homemade elderberry syrup. One batch of elderberry syrup will fill both of the molds with some syrup leftover. 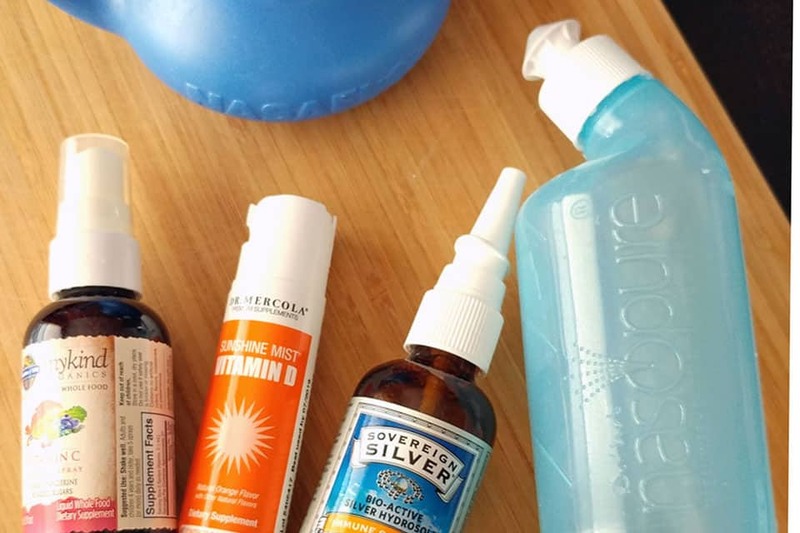 I usually just freeze one batch of the drops and keep the leftover syrup in the fridge for easy additions to herbal tea or as a topping for our favorite waffles. Once the syrup is cooled to room temperature and you have added the honey, it’s time to freeze! I suggest transferring the syrup to a measuring cup or something with a spout so it is easy to pour. 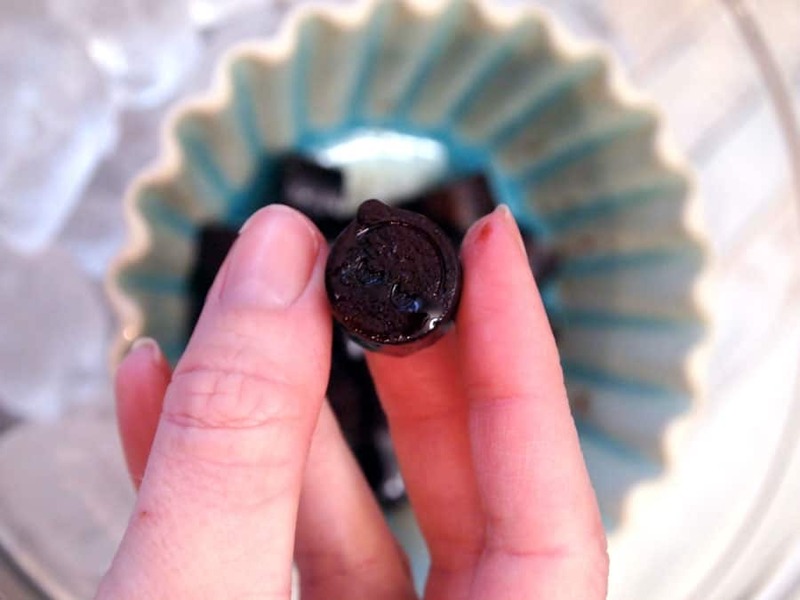 The mold crevices are small and it is easy to make a mess with this. TIP: Put your molds on a freezer safe plate or pan BEFORE you pour the syrup in the molds! It is much easier to transfer the entire tray to the freezer than to try to move the full-to-the-brim molds safely to the freezer without spilling. (learn from my mistake here friends. You do not want a trail of elderberry syrup leading to your freezer). Pour slowly and fill both molds. 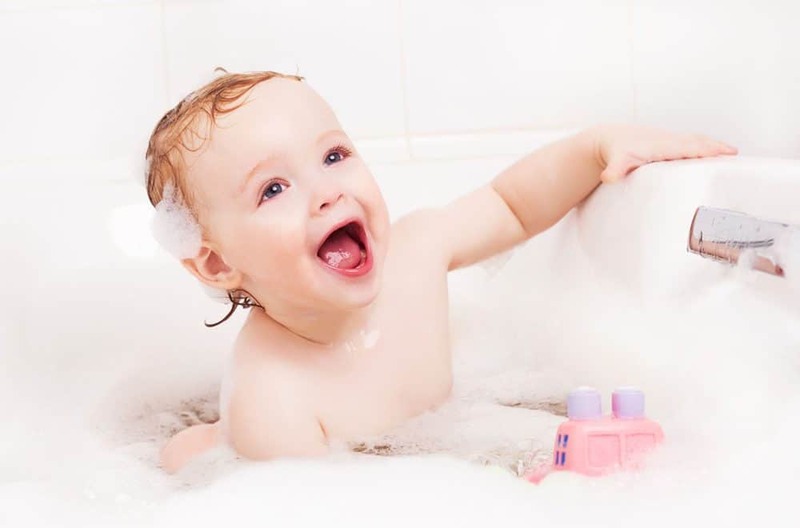 Carefully place molds in the freezer and freeze for several hours or until completely frozen. Your frozen elderberry drops will keep in the freezer for 6 months (or maybe longer, but I doubt you will have any left to find out!). Let me know how yours turn out and if your kids love them as much as mine do!